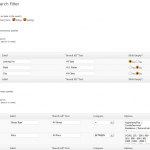 UPDATE 2 : The Advance WP Query Search Filter has been released! 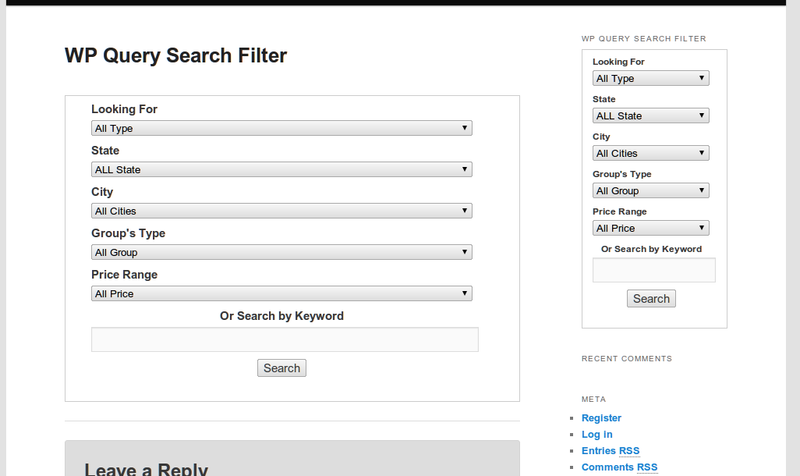 This old WP Query Search Filter will not update any more. Initially it was created for one of my client’s property website. Not in a plugin though, but rather make use of function.php. Now finally turn it into a plugin. 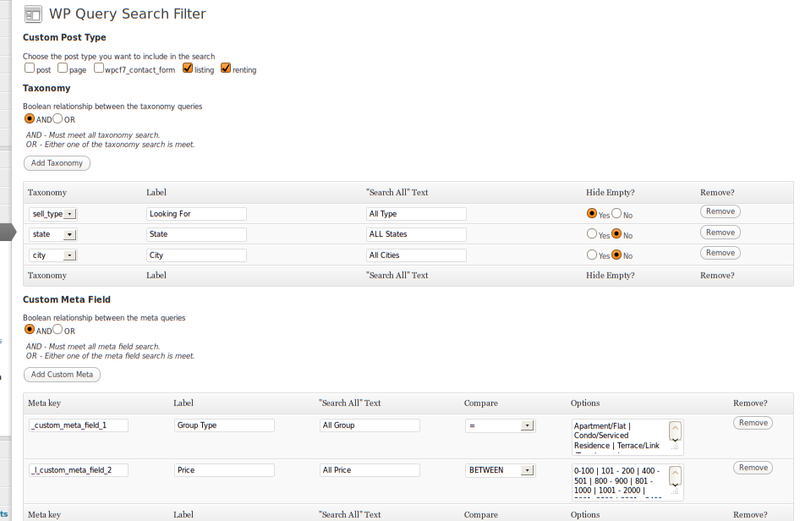 WP_Query Search Filter let your user perform more precisely search by filtering the search through post type, taxonomy and meta field. Ideal for website that have multiple post types, taxonomies and meta fields, eg property website, product website etc. Admin are free to choose whether the search go through post type, taxonomy, meta field or even all of them. Using wp search template to disply the result. Admin can define how many result per page. 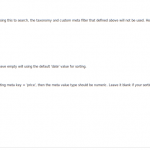 Admin can sorting the result page by meta key and meta value. Using widget or shorcode to display the search form. How can I styling the search form? – You can simply refer the wqsf-style.css that come with the folder and alter it or override it at your theme css file. What if I want to display the search form in the template? – Put this into <?php echo do_shortcode(“[wqsf-searchform]”); ?> your template. Thanks for this great plugin, do you have any plans for the future? Or do you accept suggestions? What did you mean plans for future? I always welcome constructive suggestion. For hierarchical taxonomies, dependent dropdowns, ex: Make/Model (Father category: Toyota, Child Category: Corolla, Rav4, Camry). I think is a good improvement but maybe not easy to achieve. wow…it is so much to do…it is easier to do by customizing yourself, but to put into a plugin, like you said it involved a lot work and not easy to achieve. So, I don’t think I will to try to do it in near future. However, still thanks for your suggestion though. Hi there, I must say, great plug in. Thanks. One query – can we add a mix of drop down and check box? or possibly dropdown in taxonomies and checkbox in custom meta? Thx. It is possible, but need a lot of work to do it. Perhaps I will include it in next release. I am pretty busy lately, so I don’t think I can do it right now. I assume what you mean is used more than one search widget at a time. It can be done, but unfortunately you will have to do it manually by coding yourself. You can add your custom meta filed key at the Result Page Setting (there is a sorting meta key input box). Of course you need to have the custom meta field inside your post that you want the search to go through. Can you suggest something to localize the taxonomies created to be able to display the translations? Thanks for this great plugin!!! 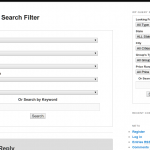 I was desperately looking for search filter and find this one which fit what I was looking for but I can’t get it to work. I just started making a website for college task but I don’t have any basics of coding and such. sorry for troubling you with noob questions. can I change the taxonomy from category to tag? if not is there another way to search my post for certain criteria. then I used the custom meta field, what is the meta key? is that the name for the field or the search term? I succeed to make the widget to show what I want but it cant found any result. where should I put the search criteria? Sorry for the long and many questions this plugin is my only hope. I got only 2 weeks to finish my website and I got only 3 days left. I will be really grateful for your help. No, you cannot change to tag from category. Perhaps you should create custom taxonomy / meta field for your post. Google it, there are many tutorial/plugin that can easily help you out on this. After creating the taxonomy, you can assign your post to that taxonomy (pretty much like category and tags), and eventually use this plugin to search. To use the custom field, you should also need to create it and use it in your post. Pretty much like taxonomy. I have visited your site. My plugin is indeed fit your need. But the problem is you don’t understand what taxonomy and custom fields is. My advise, You should read the documentation or google it, there are plenty of resources you can find for this. You will understand how to use my plugin as long as you know what is taxonomy and meta field. Besides, i think it is essential to learn taxonomy and meta field if you want to develop CMS from wordpress. They are one of the key element that make wp so powerful. in a wordpress i have? It appears first at the top but i don’t want it there. I want it below a text i have…how can i achieve this? I love the concept of this plugin, but I am having problems with it. It doesn’t work with woocommerce or the theme I use. It looks like the plugin recognise the product categories, but doesn’t return any results? I don’t know how woocomerce work. But if your wp have custom taxonomy and custom meta field it should work. Only if you have give me more details, or it is hard for me to tell what’s the problem you having. 2. Automatically add meta_values to selected custom field in Dropdown Options. 3. Add possibility select HTML-search form of custom field, such as radio, checkbox, slider. 4. Add presets for much searches: custom fields 1,2 – for custom dearch preset 1, custom fields 3,4 – for custom search preset 2, etc. It`s any way to search by input (type=text) filed? its very nice to use, one more thing how to add my category for add taxonomy option because am new user of wordpress pls …. @cartkn, not quite understand your question. Do you mean Category as taxonomy? Because there already have Category in the taxonomy option by default. Thank You! Great plugin and much needed. I’m testing it at xampp localhost with WP 3.5.1 without any errors. I am having trouble getting this plugin to work? Have you released the new version? Will the new version have an option to make multiple search boxes using different taxonomies for each search. Yes, the new wp query search filter is supporting multiple search form for multiple taxonomies, meta fields and post types. Do you have a release date? Let me know if you need someone to help test. I have a new site that is not live yet that is in need of this tool. The plugin will be release very soon, probably within 2 or 3 days. So just stay tuned in this blog. Anyway thanks for offering help. hy it dosent seems to work with wp e commerce. Perhaps you have done something wrong with the plugin? Others seem didn’t have this problem. Hi, i’m wondering if it’s possible to create a range price search with two text areas where put the min and the max prices… I have the different prices as taxonomies. Is there some way to do it in this plugin or in the new? Yes and No. Yes, you can put 2 different inputs for the price range, but it required some customization. No, the new plugin doesn’t have this feature, likewise you’ll have to customize the plugin file as well. Please, can you help me for the customization? Well, it required times to do it, and I haven’t got the time. Forget to mention, if you wish to use price range, then you probably better using meta field for the price instead of taxonomy. if i can successfully develop the plugin, i will be happy to share with you. once again, thanks for the advice. Is there anyway to have a box where you could type into to filter names etc? You can directly alter the “search by keyword” at Label for string search field. (Above Result Page Setting). I am getting problem in Custom Field Search result. I am Using Custom post type jobs and Location and Job Type As a Custom Field.I am Using these custom fields in search form as a drop down.But WHEN Every new job is enter and location and Job type not display automatically in drop down search form.. Unfortunately it can’t, you’ll have to enter the new value manually in the form setting page. If you are using taxonomy, then the new option of the dropdown/checkbox/select will be added automatically.